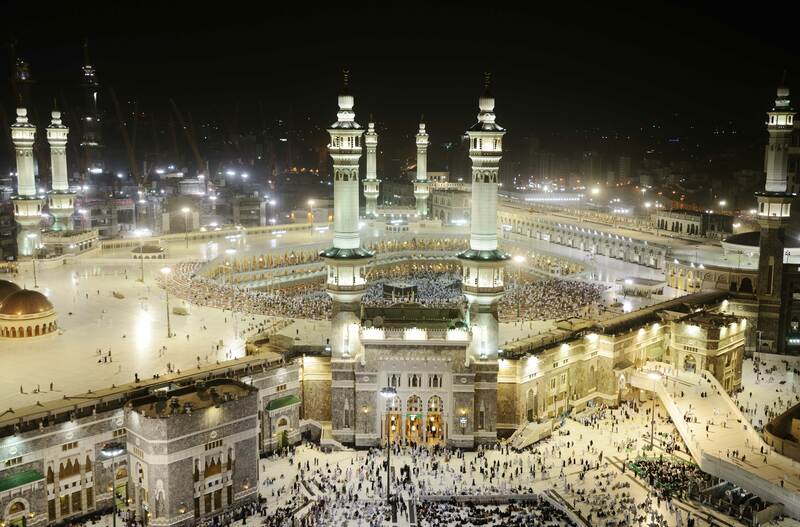 How Does a Muslim Face Mecca When Praying in Space? 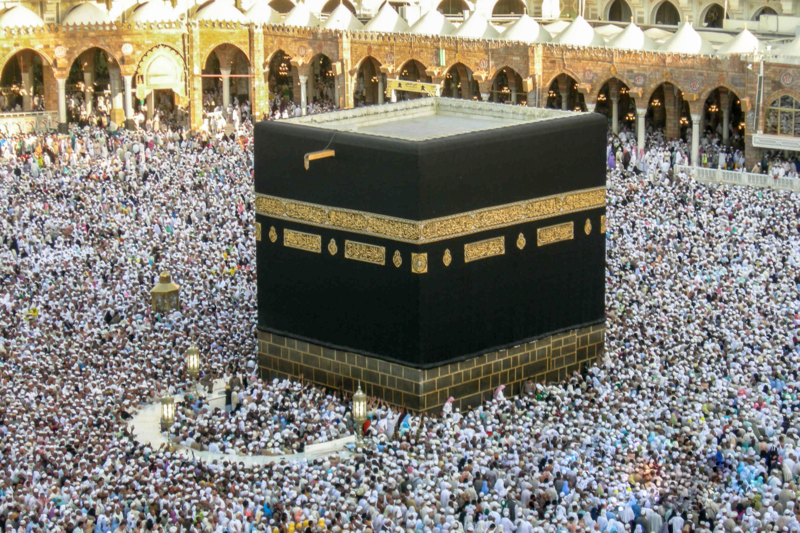 Jason H. asks: How does an Islamic person know where to face when they’re in space and supposed to be praying towards Mecca? The first Muslim person in space was Royal Saudi Air Force pilot Sultan bin Salman bin Abdulaziz Al Saud in 1985 aboard the United States shuttle Discovery. He was followed up by the first Muslimah in space, Anousheh Ansari, who, upon immigrating to America from Iran in her teens subsequently got a degree in electrical engineering and computer science and then, not long after, cashed in her life-savings to co-found Telecom Technologies Inc. The result of all this was Ansari eventually amassing a personal fortune of about $750 million, becoming one of the wealthiest women in the world. However, as far as we can find, the issue of how these two, from a practical standpoint, should adhere to certain facets of their religion while slipping the surly bonds of Earth never came up, at least not publicly. This all changed in 2007 when Malaysian-born Muslim astronaut and orthopaedic surgeon Dr. Sheikh Muszaphar Shukor mused about how exactly he’d pray towards Mecca while orbiting the Earth at about 17,136 mph (27,577 km/hr), as well as what the proper protocol was for him given part of his stay in space would fall on Ramadan. To answer Shukor’s question and set out general guidelines for future Islamic space travelers, Malaysian National Space Agency and the Department of Islamic Development invited 150 Muslim scholars and academics to a two day conference to determine exactly how a devout Muslim should practise their faith in space. In regards to the first stipulation, the question arose- how exactly does said individual define when the morning even is when a manned craft orbiting the planet will do so approximately 16 times in a 24 hour period? Is the morning when the sun rises according to the individual’s perspective from the window of the spaceship? So in that case, if one was to follow the word of the Quran literally, a Muslim astronaut would technically have to pray 80 times per 24 hours, or once every 18 minutes. This would obviously be impractical given how full astronauts’ schedules typically are. Likewise, it would be exceptionally difficult for said individual to continually face Mecca as the Earth rapidly spins below the astronaut. Lucky for Shukor and future Muslim space travelers, all of these issues, along with countless others, now have answers thanks to the aforementioned meeting of Islamic scholars who drafted what they called A Guideline of Performing Ibadah at the International Space Station. 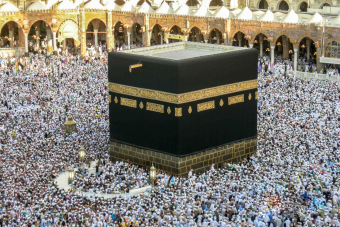 In space, the ritual prayer might be offset for more of a prayer that is allowed when on jihad … for the lack of gravity and directional accuracy makes it legitimate to do as one sees fit. God does not take a person to task for that which is beyond his/her ability to work with. Prayer is not supposed to be a gymnastic exercise. One is supposed to concentrate on the prayer rather the exact orientation. The pamphlet drafted by the Islamic scholars also outlines what to do if one’s trip in space coincides with Ramadan (which Shukor’s partially did), where it is required to fast from sunrise to sunset- the guide says this is largely up to the individual and they can choose to fast as usual using the same timescale as they pray to or, if necessary given the duties at hand, forgo the fast and make up for it when they arrive back on Earth. It’s also interesting to note that the document explicitly states that “travelling to space is encouraged” by Islam, as is the obligation of Muslims to “maintain sustainability of the space environment” and observe peace with all “other beings” one encounters in space- meaning the official policy of Islam, according to the 150 Islamic scholars who came up with the guide, requires Muslim astronauts to maintain peaceful relations with aliens, if any are ever encountered. How Do Astronauts Scratch an Itch When In Their Space Suits? There’s a disagreement of sorts between Islamic academics about whether or not it’s okay for Muslims to take part in a mission to colonize Mars. On one side some feel that such a mission would pose an unacceptable risk to the individual Muslim’s life, whereas others feel that it is the duty of Muslims to explore all of Allah’s creation, including Mars. So far, this issue has yet to have a conclusive solution. People who believe in Bronze Age faerie tales shouldn’t be allowed in space! People who discredit other’s belief’s as fiction shouldn’t be allowed to comment about religion. People who don’t understand the correct use of apostrophes shouldn’t comment about who should be able to comment. People who comment on punctuation mistakes should be murdered.